I meant to publish this recipe a few months ago, but I didn’t have the photos ready. I still don’t have the perfect photo sequence for how to make these cookies. But it’s the middle of the Open and these cookies were thought up between a few crossfitters so better like this than never, right? Besides, what better timing than the middle of the CrossFit Open Games to tell you how I got started on CrossFit and baking paleo cookies. I started CrossFit in February last year. I had been given a tough teaching schedule at my school and they weren’t letting me push back on it. As I despaired, I felt God say to me, “Han-Na, you’re stronger than you think you are.” Since I often experience God in physical activities, I decided to also translate that into trying out CrossFit to see how strong I was. This was after months of pushing back on my coaches because I was very happy in the Bootcamp classes and not interested in getting stronger. Pretty soon, it was clear to my coaches, that I had the potential to lift heavy weights. I, on the other hand, intimidated by lifting anything vaguely heavy and the technicalities of the lifts, really did not enjoy the barbell work for the first few months. Not long ago, one of them encouraged me, as I was going for my 1 rep front squat max, that I had the ideal physique of a squatter. I’m not entirely sure what he means by that, do you? Still, I managed 72kg that day, which I was delighted with. Then one day, one of my coaches asked me when I was going to bake some paleo cookies for her. 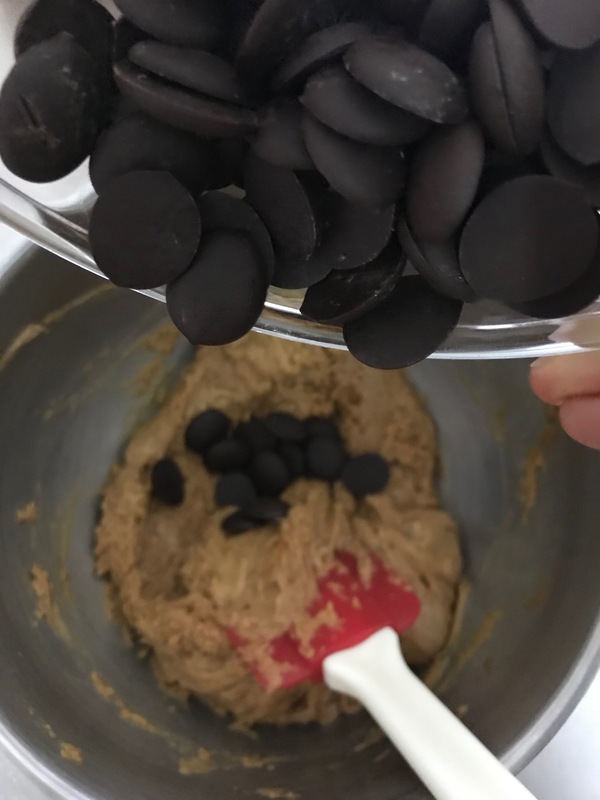 I told her that Christina (of Joyfully Nutty) and I had just been talking about how to use cashew almond nut butter in baked goods and so why not try them in a cookie. 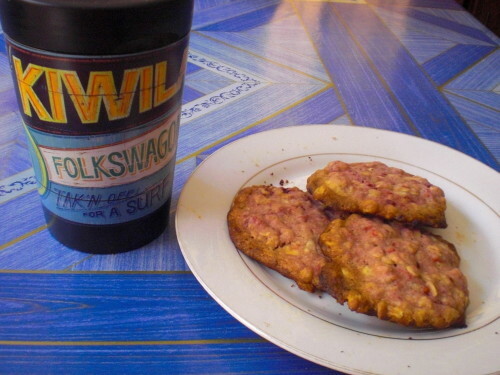 So, thank you Minna and the CrossFit community for pushing us into trying to make these paleo cookies. I use the Dazed and Cashewed, cashew almond nut butter from Joyfully Nutty. You could make these with a cashew nut butter or an almond nut butter, it comes down to preference. I went off the back of Julie Wampler’s recipe from Table for Two, and experimented with reducing and changing the sugar to make it suitably paleo. I was also baffled as to whether palm sugar is paleo or not. 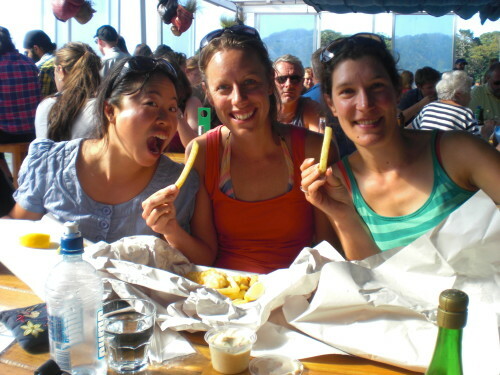 It would appear that the paleo community embrace coconut sugar but differ on palm sugar. The little personal research that I’ve done suggests that palm sugar is produced in the same way as coconut sugar, and therefore is paleo. Then I discovered this delightful nugget. With the addition of different spices, I could halve the sugar or omit the sugar completely and they would still result in tasty ‘sweet’ morsels, that are soft yet chewy. Curious, I tried a sugar free version, which admittedly, is more delicate and will thus crumble more easily, but because there’s a lot of dark chocolate, you hardly notice that the sugar is gone. Top tip: by adding spices, you can reduce or omit the sugar. I believe that you could make these vegan by replacing the egg with flaxseed or chia seed but I’ve yet to try it. Baking these is a cinch (read the method below), which is another reason why I like them. You want to satisfy that cookie craving but don’t have to wait 24 hours to rest the cookie dough. From start to finish, you could be sitting down with a cookie (or twelve) in 30 minutes, or less. So here is the Dark Chocolate Cashew Almond Butter Cookies, adapted from Table for Two. 100g dark chocolate*, broken into chunks. Or you could use dark chocolate chips. I use small round discs of chocolate. *use one that is at least 65%. Preheat the oven to 180ºC/350ºF or gas mark 4. Line a large baking tray (or two depending on size) with baking paper. 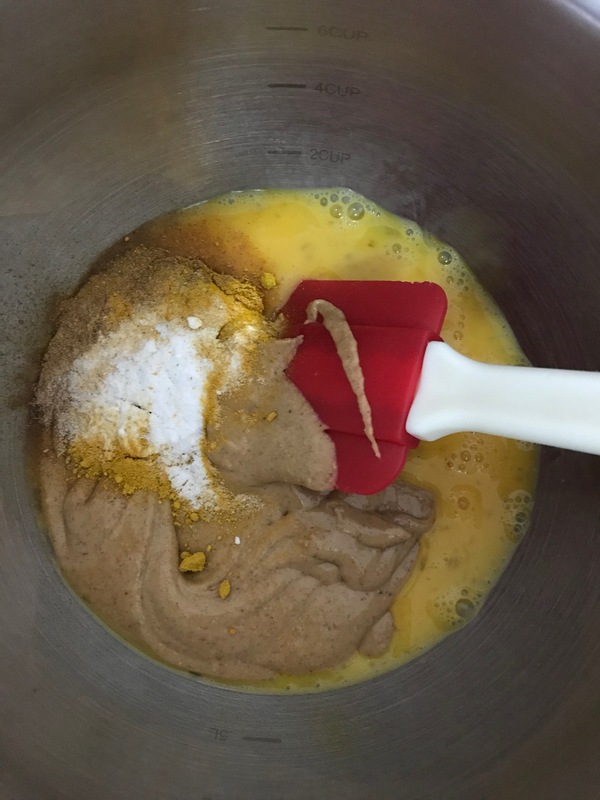 Whisk the egg, sugar, salt, cinnamon and turmeric together in a small mixing bowl. Add in the cashew almond nut butter and the bicarbonate of soda and mix until it is all combined. Stir in the dark chocolate. Place generous tablespoon dollops (sort of ping pong ball sized) of the cookies on the baking tray. I use a 1½tbsp cookie scoop for the sake of ease now. Bake in the middle rack of the oven for 12-15 mins, or 10-12 mins in a fan oven. They will have puffed up a bit and be lightly golden brown in colour. As they cool they will collapse slightly into themselves. At this point, I like to place a chocolate disc on top of each cookie because I like how it looks. Allow them to cool completely on the baking tray and then store them in an airtight container. In Cambodia’s humid climate, they’ll keep outside the fridge for about 3-4 days. I normally store them in the fridge and they’ll happily chill out there for 2 weeks. Or they freeze well. But you know, they’re pretty tasty straight out of the freezer too. The verdict? 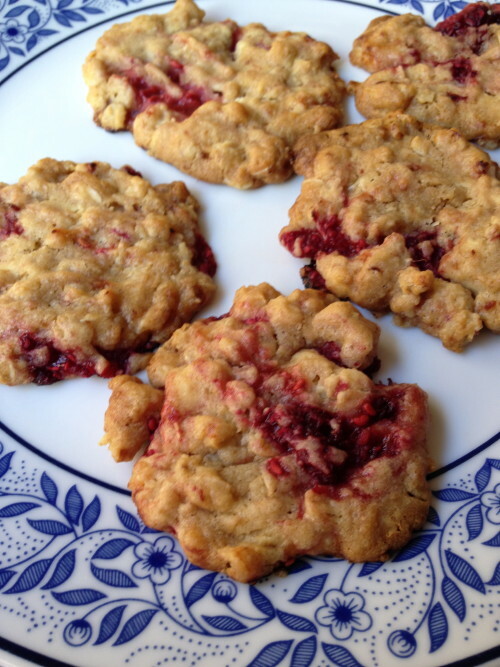 You’d never know that this was a gluten free, dairy free cookie. Soft in texture and rich in flavour. I get orders for these, with sugar, without sugar, without chocolate… hehe. So you know that they’re customisable. I like them as a pre-workout snack. I also like them because it’s such an easy recipe. I am, in fact, quite excited that it’s snowing outside. It has given me that wee impetus to press publish on this recipe, which has been lurking around in my drafts folder for a while. On an aside: say aloud with me, ‘lurking around for awhile’. Doesn’t it conjure up that horrible childhood fear of a shadowy bogeyman patiently waiting to catch you in the middle of a long, dark corridor? Mind you, saying the whole of that first sentence out loud now brings up a ridiculous image of a recipe like a white vapour, snaking out of a metal filing cabinet. It’s not quite the way that I’d planned to introduce this recipe to you. So, back to the recurring theme of this post. Essentially, it’s about ideas remaining dormant and not being actualised because of whatever reason. You see, I’d been wanting to bake these peanut and rosemary cookies ever since one of my colleagues passed me a newspaper clipping with this recipe on it. That was about 18 months ago. The timing of this recipe landing on my desk was perfect because I had just been thinking about combining rosemary or thyme with a sweet dessert for a wee while. But I just didn’t get round to it, or I forgot. Maybe some student emergency came up before I fully committed to baking the recipe, or something! You get the idea. The recipe continued to lurk in between the covers of other recipe books. When summer came around, my tastebuds changed and my mind started exploring the idea of combining lemons and black pepper. So, one afternoon I invented a lemon, fig, nut and black pepper cookie recipe, which Val promptly decided were her favourite cookies. When the nights started drawing in and the temperatures dropped, my tastebuds hankered after a more pungent flavour. I pulled out this recipe, sent myself off to go to the shops to buy some salted peanuts and snipped off some fresh rosemary. It’s as simple as that really. 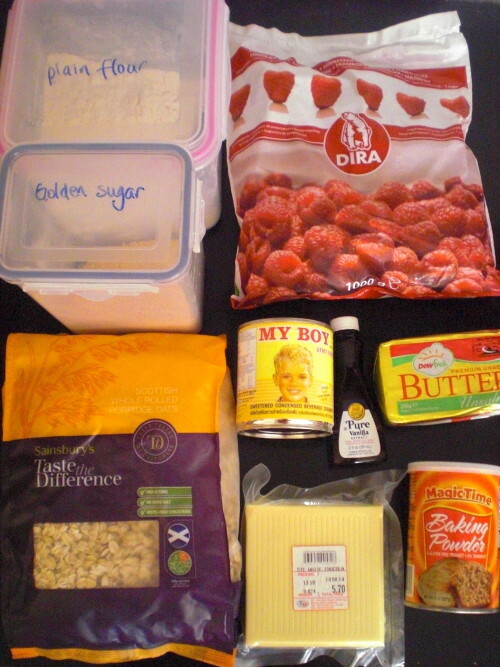 I think, that most of you, will have the other ingredients as standard store cupboard items already. The other joy of this recipe, I discovered, is that you can pretty much make this in one bowl, mix it within 5 minutes and be biting into your first batch within 20 minutes of starting out on the recipe. I don’t know many other cookie recipes out there that can beat that! And boy, did I enjoy eating them. 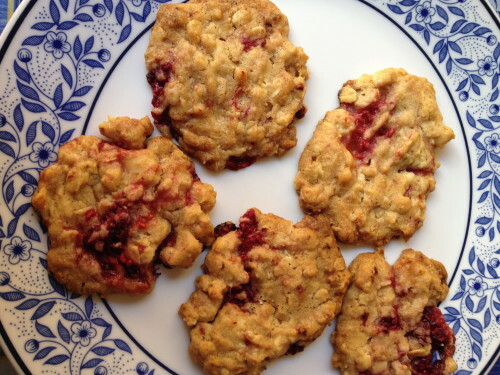 These are fast becoming my favourite cookies: I baked them twice within 5 days. Elegant, fragrant, crunchy and very more-ish. If you want an alternative sweet grown up sweet this season, or you’d like to do something different with your leftover bag of salted peanuts which you offer to your guests, then I’d recommend this recipe to you. I know that rosemary and salted peanuts cookies sound odd but I have to congratulate Dan Lepard on this fine flavour combination. 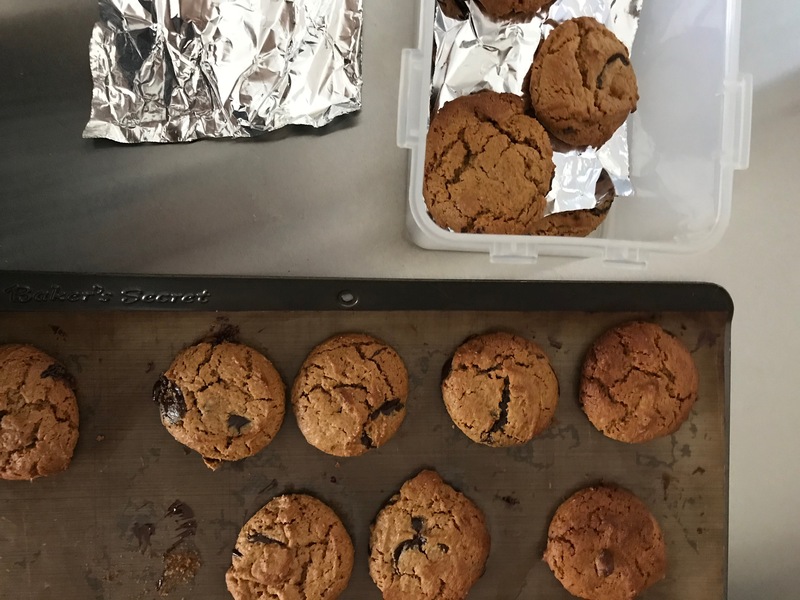 Dan Lepards’ Peanut and Rosemary Cookies. 1. Preheat the oven to 180°C/350°F/Gas Mark 4 and line two baking trays with baking or greaseproof paper. I tried out the pizza stone for one batch but found that the baking trays did a better job than the stone. 3. Add in the peanuts and egg and mix well. 4. Finally stir in the flour and bicarb of soda. Naturally you start mixing this in with the metal spoon, but soon, it becomes clear that it’ll be much easier to get hands-on stuck in with your hands and finish mixing in the flour. 5. Press together 30g balls of dough. That’s ping pong sized balls, for those of you who don’t really want to measure out them out. Lay them out on the baking tray, spaced 5-6cm apart because they spread a lot. 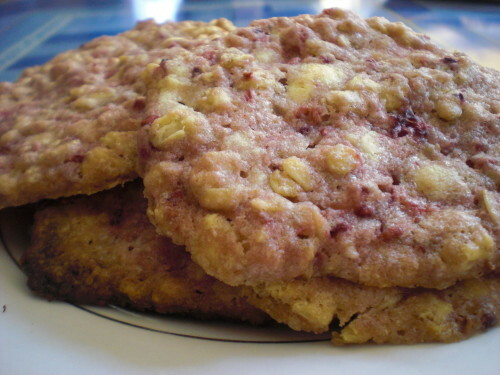 Last time I made them, the peanuts rebelled a bit and didn’t want to stay on the cookie dough. Tell them who’s boss and push them on. 6. Bake them in the oven for 12-14 minutes, depending on how chewy you like them. I aim to take them out when they’re a golden colour, rather than bronzed all over. The bronzed ones are fine warmed up, but otherwise they get a bit hard when they cool. 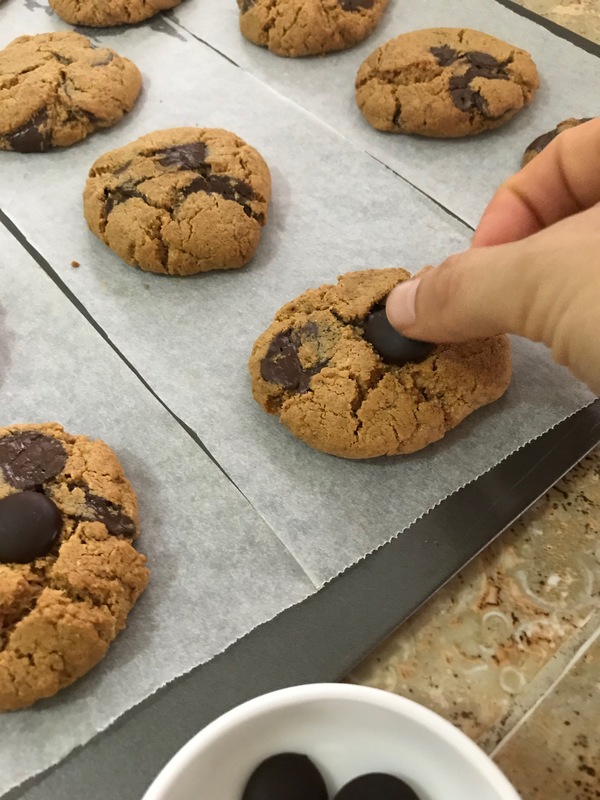 Lift the baking paper with the cookies, off the baking tray and let them cool on a wire rack for a minute, then carefully peel them off to the wire rack. They make 24 cookies, so I bake these in batches. If you find them a bit too salty, Dan suggests that washing the salt off the peanuts first. Personally, I like salty sweetness. To top it off, I’ve got a kitchen fragrant of rosemary. 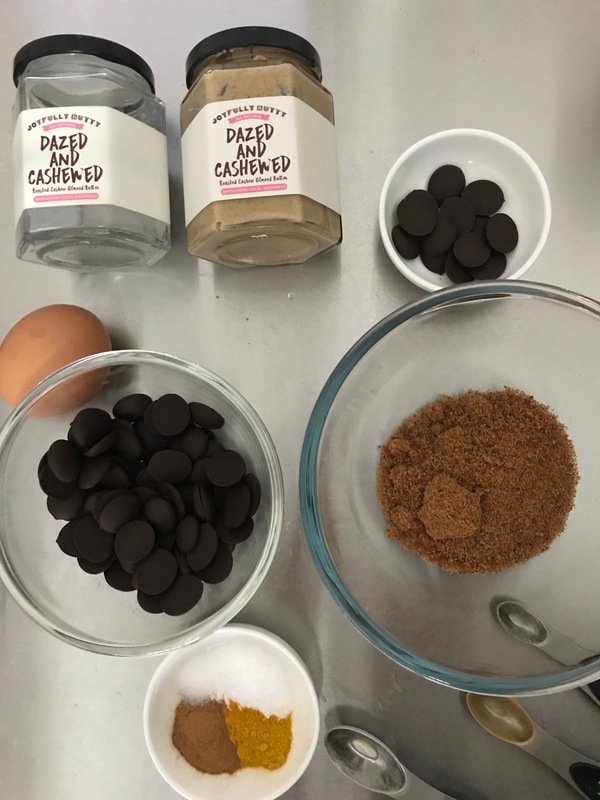 What’s my favourite chocolate cookie recipe so far? The recipe that came from a calendar of chocolate recipes and my then-housemate Claire baked, back in the day when I wasn’t very good at trying out new recipes. And, wow. Didn’t they smell gorgeous and taste incredible… with that wonderful chewiness that cookies should have, and a bit toffee-ish flavour (that’s the brown sugar talking)!! Lekker, lekker, lekker! Without wanting to sound too much like a cookie monster, I decided to have a go baking them because I wanted to eat MORE! It turned out to be a really simple recipe (hurrah); a bit too simplified perhaps? I made quite a few basic mistakes when making these. 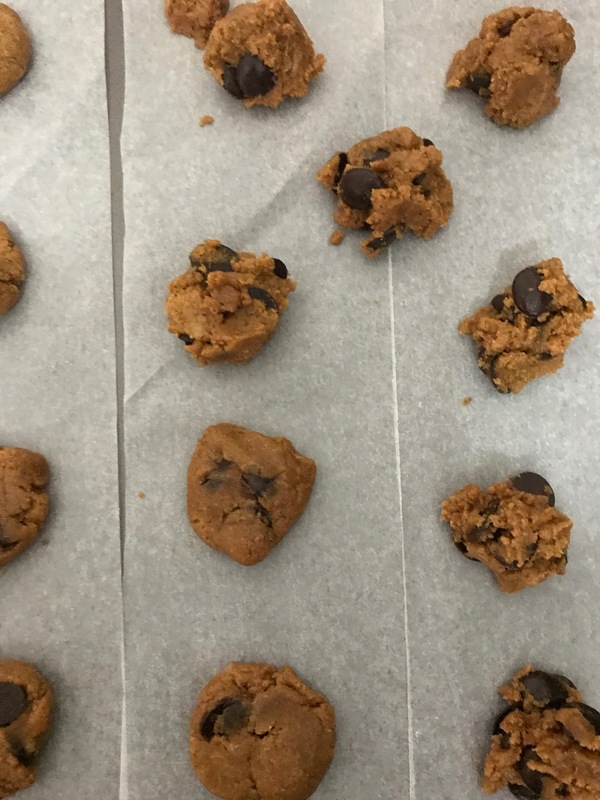 For instance, I discovered that cookies splay out in the oven, so if you don’t space them out enough, they can all meld into one big rectangular cookie, which you have to cut apart. Next, I found out that if you don’t use baking paper, it’s hard to get the baked cookies off the baking sheet. Then, there’s minutes in baking them so that they’re soft and chewy and them being rock hard. Err on the side of chewy caution, my friend and use a timer! Finally, this is less of a mistake but a definite learning point. It was an eye-opener for me to realise how much sugar goes into making cookies. I kind of thought of them as a ‘healthy’ snack before then, but 500g of sugar doesn’t quite fit that category. Hmmm…. So, let’s say that you wanted to cut down the sugar a bit, then I’d try reducing the amount of white sugar you put in. I’ve not tried this yet, but I’d experiment with between using half or two thirds of white sugar. I’m not entirely certain how that will affect the chemistry and flavour. However, I would definitely not scrimp on the brown sugar because it’s the brown sugar that produces that more-ish nuttiness to the cookie’s flavour. That first time, I even asked Claire whether she’d put toffee in the cookies. So, I’ve amended the method section so that you can build on my experience. 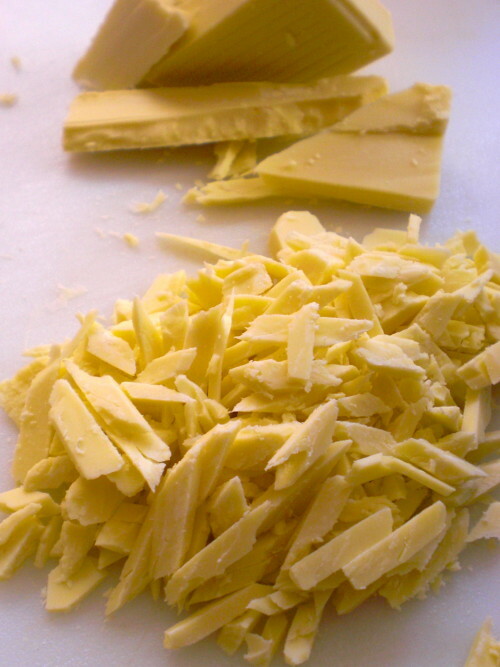 Also, at the bottom of this post, I’ve listed some of different combinations that I’ve created by adapting this recipe. This makes about 55 regular sized cookies (by regular, I mean 10-15 cm). Claire advised me later that she often halves the recipe so that there’s not an eruption of cookies. 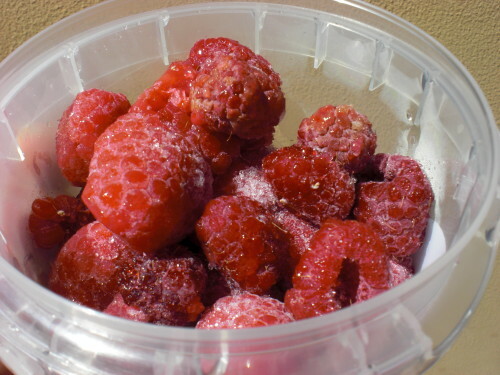 You can freeze them, if you have space in your freezer. I have rolled my spare cookie dough into ball shapes and frozen them in a ziploc bag. Later, all I’ll need to do is put the cookie dough balls out on some baking paper and sheet to defrost for an hour at room temperature, then pop them in the oven. A wonderful, ‘instant’ treat to have up your sleeve! 1. Pre-heat the oven to 180C/350F/Gas Mark 4. Prepare 2 baking sheets/trays with baking paper or greaseproof paper. 1. 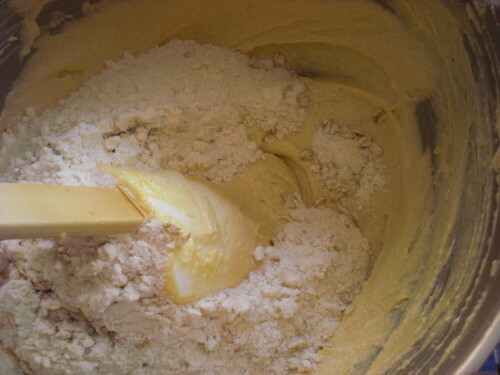 Mix butter with sugar until creamy and fluffy, with an electric mixer. If you don’t have one, then use a wooden spoon and beat hard! 2. Add the eggs, chocolate chips and vanilla essence and mix well. Add the bicarbonate of soda and salt to the flour and add to the other ingredients. Sitr to form a thick cookie dough. 3. Take ping-pong ball size amounts of the mixture, roll it into a ball and place spaced apart on the baking sheet/tray. Bake for 10-12 minutes in the oven. The cookies should be slightly golden brown. Let them rest for a few minutes and then gently place on a rack to cool. The top ones have been baked for 5 minutes too long and are too hard, whilst the bottom rather anaemic looking ones have been baked perfectly so that they’re chewy but with a bit of crunch. 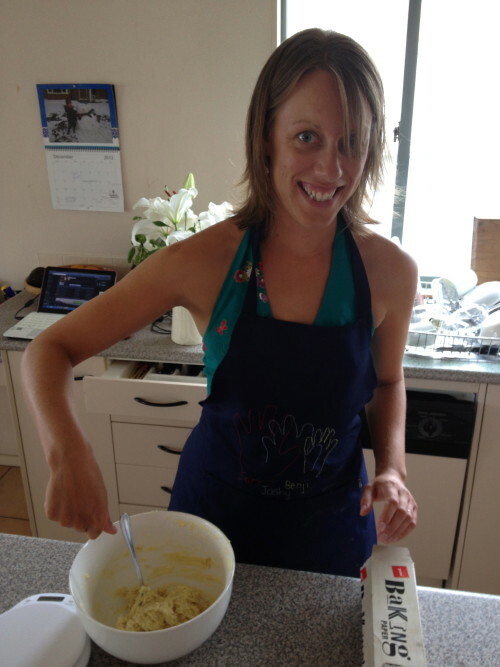 Kids love the lemon and dark chocolate one – or at least the kids I’ve baked with when babysitting them.